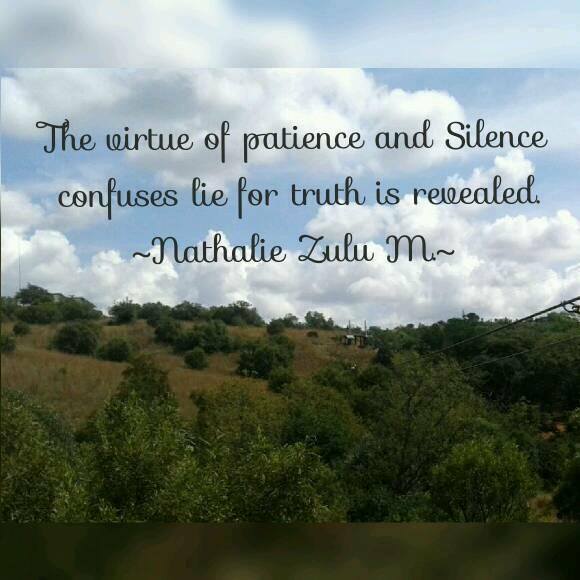 The virtue of patience and silence confuses lies, for truth is revealed. Notes: Don’t fight to get it out, time has proven that truth will always reach his course. Rest assured!